The Annual Fort Mill Fire Department Open House is a must do and see! This year’s open house is at Station 1 in Fort Mill. ?Its Saturday, October 13, 2018?from 10 am to 2 pm. 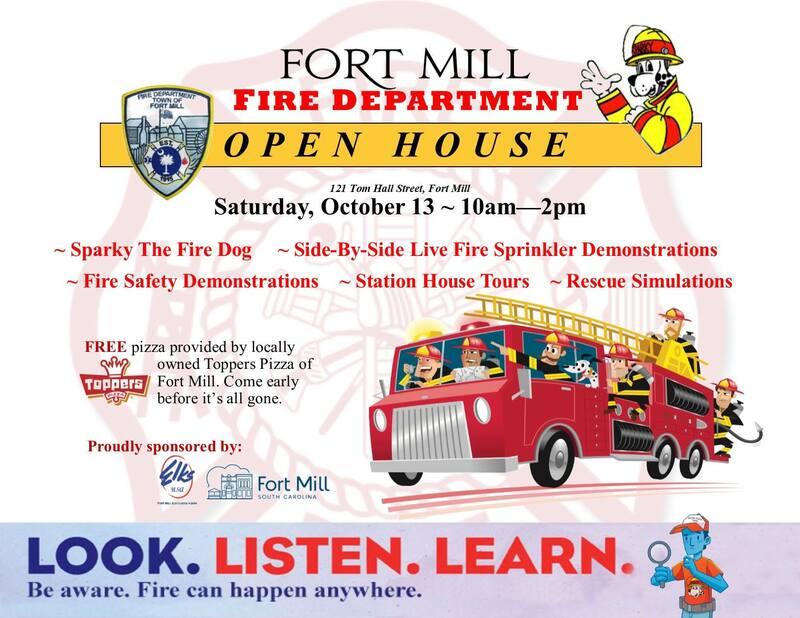 You can meet Sparky the Fire Dog, watch rescue demonstrations and a side-by-side live fire sprinkler demonstration, take a station tour and enjoy FREE pizza by Toppers Pizza of Fort Mill! Talk of the Town Carolians went to the open house last year to see what it’s all about. Watch last year’s video to find out more.